Concrete Protection - Corrosion Inhibitor (MNC-CI) - MUHU (China) Co., Ltd.
MNC-CI is an effective inhibitor for concrete reinforced steel. Concrete added this product can prevent or delay the corrosion process, thus, extend the life of reinforced structure. Used in this product in silica-based aggregates or alkali-slag concrete, it will have good compatibility with fly ash, Slag Powder, silica-fume and common water reducer. This product has preferences to air entraining agent. When the temperature is above 25 degrees C, It has apparent effect of early-hardening and early-curing. It also impact on the loss of slump. Thus, some setting-retarding measures need to be taken. This product will develop a protection layer on the metallic reinforcing rod. 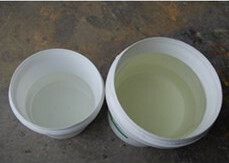 When the detrimental chlorides including sodium chloride and calcium chloride permeate the concrete structure, it can effectively prevent or delay the chemical deterioration.This product is mainly used for the structures with corrosion from chlorides salts in ocean engineering or sea-side projects. MNC-CI is recommended for all steel-reinforced, post tensioned and prestressed concrete that will come in contact with chlorides from deicing salts or a marine environment. Examples are parking garage decks and support structures, bridge decks and prestressed members, and structures in marine environments. 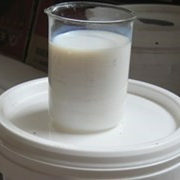 It may also be used in concrete where chlorides are added during manufacture. MNC-CI is a patented system containing calcium nitrite which interacts with the embedded steel in concrete to prevent salt attack. By chemically reacting with the reinforcing, a barrier is formed which prevents chloride penetration. Corrosion initiation is delayed and corrosion rates are kept under control. Once corrosion has been inhibited, physical disruption of the concrete due to rust formation will not occur. When added to concrete in sufficient quantity as determined by the anticipated chloride ion content of the concrete over the design life of the structure, MNC-CI maintains an active corrosion-controlling system within the concrete matrix. For the projects with heavy corrosion environment such as ocean or sea-side projects, the addition rate is recommended as 8-12kg/m3. The product is available in polywoven bag with plastic liens at 25kg. The storage life is one year. If there lumps because of absorbing moisture, it may be melted in water and then used. It should be kept free of wet and moisture in the process of transportation and storage. It should be stored in clean, shady, dry and ventilated storerooms. Keep it away from explosive and flammable products, especially fire. Wearing gloves and masks when handling.